Awesome news for our Native British Speaking MicroWorkers! An engaging job opportunity is open for you! You will earn a promising reward once you have successfully completed the job! A grateful reward of $30.00 will be given to you once you have completed the task completely. Initially, you need to pass the Qualification Test in order to determine one’s ability to speak Native British. The Qualification Test requires you to read 20 sentences while recording. Once you passed the test, you will receive $0.20 and you will then be included in the exclusive group where you will be given access to the actual job. The project will be used for AI (Artificial Intelligence) purposes. It involves easy Voice Recording task using your mobile phone. The actual job is to simply continue reading 430 sentences and record them via the given App. Reading and recording requirement needs to have a totally quiet environment to ensure clearness of voice recording. 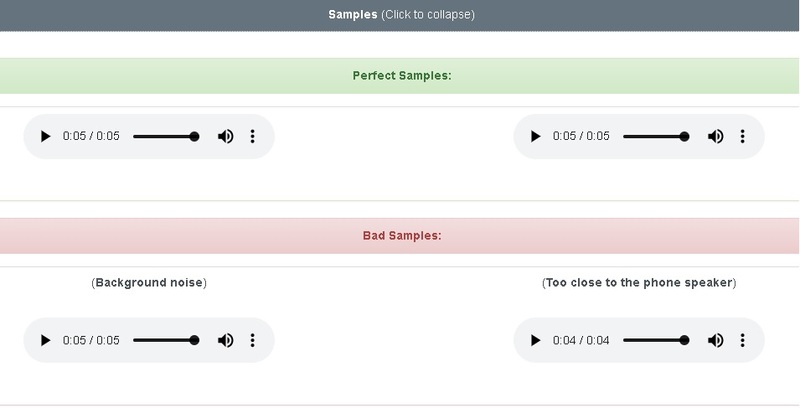 Sample perfect and bad audio recordings are provided in the campaign for your recording reference. If there is an error in reading or have experienced sudden noise while doing the task, you may record the sentences again. No changes in the sentences should be made when reading. So if you are mainly from United Kingdom, you have the access to perform the Qualification Test and be part of this great earning opportunity! If you are a Native British but happened to be residing in other countries, please feel free to contact us and we will add you manually.